Q: I’m only 25 and I have lately been noticing static forehead wrinkles. Some people are more expressive and can develop lines/wrinkles at an early age. Botox or other neurotoxins would be an excellent choice to address your concerns. It will also help minimize the size of your pores. 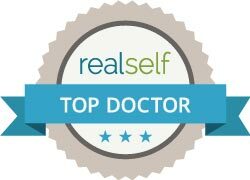 Consult with an experienced cosmetic physician who can best counsel you and also place you in a skin care regimen and maintenance treatments such as chemical peels and hydrafacials to further optimize the results. Q: Can Botox cause the brain to stop using a muscle, resulting in a permanent effect? Botox does not have permanent effects on muscles. It typically wears off in 3-4 months. For some muscles such as the masseters, the effects can last longer – up to 6 months. Without repeat treatments, the muscles return to baseline activity. Q: How much botox would need in my masseters to to correct bruxism? Yes, botox can help with bruxism. Depending on the individual patient, approximately 20-30 units of botox is injected to the masseter muscle per side. Results can last 4-6 months.